Finding yourself in a situation plagued by bad credit and financial constraints can be incredibly stressful. Applying for vehicle financing, when what you owe is higher than your bank balance, can seem like travelling on a dead-end road. Having mobility in South Africa is essential. Overcoming debt and bad credit requires a carefully planned process, but receiving finance for a new car is by no means impossible. Are you able to rebuild your credit record? How long do you need to do this? Do you have a criminal record or any other pending disputes? Request a credit report from ITC, the Credit Reference Agency in South Africa. With this report you will be able to identify where and why you may have been blacklisted. 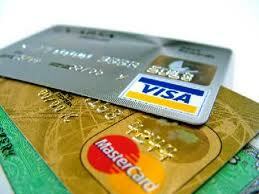 Assess the severity of negative credit history. Is your bad credit history repairable? If not severe, it is a good idea to assess options over a period of time whereby you can improve your credit profile. If your credit history cannot be repaired in the short term and is severe enough, you can appeal to financial institutions which do not run credit checks for potential vehicle finance. This can result in receiving the finance you need within a short period of time. Interest rate charges will be higher if you have been blacklisted. You have the option of refinancing your loan at a later stage and getting yourself into a better position to maintain a healthier credit score. Opt for a leased sale agreement. This will enable you to purchase the vehicle at the end of your agreement term. It also gives you a tax advantage on your lease payments. Ensure you will be able to afford your payment instalments according to your agreement terms. Be realistic about your current and foreseeable future financial position. It can happen and it does. We all go through the ups and down of today’s lifestyle standards. No one’s credit record sparkles brightly all the time. Dealing with a bad credit record, being blacklisted or having to file for bankruptcy can feel like living at the bottom of a barrel. With Earn-a-car, there is a door that is open. You can acquire vehicle finance and get yourself back on a better track.